This year, Easter weekend coincides with Earth Day, giving islanders even more to observe, honor and celebrate. Join the festivities as the Bald Head Island Conservancy kicks off their Year of the Tree initiative on their campus Saturday, April 20, 11 a.m. – 1 p.m. The event, which is co-hosted with Bald Head Island Limited and the Bald Head Association, is being held in celebration of Earth Day and includes a tree-planting ceremony at 12:30 to assist in the island’s recovery from Hurricane Florence. Bald Head Island Limited has donated the trees for the ceremonial planting. Geared toward the entire family, the event includes activities and craft stations for kids. All who attend will learn from a certified arborist about the importance of trees to Bald Head Island, as well as tree identification, planting and care. You can even sign up to receive native tree seedlings to plant across the island in the fall. As usual, the BHI Conservancy is also sponsoring many of the other weekend events, including island nature tours, kayaking the creeks, a reptile roundup, Middle Island bird watching and exploration, and the Turtle Trot run to benefit the Sea Turtle Protection Program. For more information about BHI Conservancy programs and activities, please contact Emilee Winter at 910.457.0089 or visit www.bhic.org. Beginning with an afternoon Maundy Thursday service in the Village Chapel, and concluding Monday morning with an island-wide litter sweep and Earth Day crafts at the Shoals Club, the five-day Easter weekend celebration on Bald Head Island will keep your whole family hopping. Throughout the weekend, you can go on nature tours, guided kayak safaris and an organized scavenger hunt. You can take to the water in a sailboat, take part in two fun runs, and take on the competition in a doubles round-robin tennis tournament. There will be Beach Olympics followed by a block party at the Shoals Club, a cookout at Island Passage, an oyster roast with live music at the Forest Pavilion, and shopping discounts at various businesses. You can tie dye a t-shirt, sing karaoke, and raise your voice at the Howl at the Moon Party on the beach. On Easter Sunday itself, church services include a 6:45 a.m. sunrise service at Old Baldy Lighthouse, and more traditional services in the Village Chapel at 8:30 and 10 a.m. The annual Easter Egg Hunt will be held behind the BHI Club’s main clubhouse between 9 and 10:00 a.m., with various times designated for different age groups. Bring an Easter basket and your camera! Don’t forget to catch the parade of homes island-wide, an art show and reception, and a spirits and appetizers reception at the Bald Head Island Real Estate Sales marina office. Get a complete list of all of the activities, as well as times, locations and details here. Plan an entire weekend of family fun and make some truly precious holiday memories. The center of Bald Head Island’s social and recreational life since 1991, the Bald Head Island Club has been undergoing new construction and major renovations that will effectively double the club’s previous size. Construction on the new additions and planned remodeling began in November of 2017, with Hurricane Florence adding significantly to the renovations list in September of 2018. With great fanfare and a lineup of fun activities, the club will celebrate its grand opening in grand style on Saturday, May 4, from 5:00 until 9:00 p.m. BHI Club membership is required for those attending, and all dining venues will be closed for regular service during the event. Members will enjoy heavy hors d’ oeuvres, new menu samples, beer and wine tastings, games, live music and more. The entire club campus will be open for tours, including golf and croquet demonstrations. The centerpiece of the club is the new Horizons restaurant and surrounding extensive aquatics center. Bald Head Island Club General Manager Robert Norton said members submitted more than 200 names for the new restaurant. “While we had many excellent suggestions, we felt Horizons truly captures the ambiance you will feel when looking out over the water with panoramic views and ocean breezes,” he said. The restaurant will have a resort casual menu and atmosphere, including a wraparound porch that offers views of the ocean, swimming pool, splash pad and tennis courts. The aquatics center is so packed with liquid fun, it’s more like a water park for the entire family. It incorporates the existing swimming pool, and adds a leisure pool with chaise lounges, a children’s zero-entry pool with splash features, a large splash pad area, and waterslides from a tower that end in a plunge pool. Adjacent to the water features is a dry playground with all-new equipment. Members can have their thirst and hunger satisfied from three separate places around the pool: a walkup snack bar window, a cabana bar serving drinks and lite fare, and the full-service Horizons restaurant and bar. Additionally, in the clubhouse, both the Palms and Palms Terrace have been renovated, and hurricane damage repair in the Ocean Room is complete. The entire club will look brand new to kick off the 2019 season. To learn more about Bald Head Island Club memberships, including guest memberships for renters, please contact Jennifer Allen at 910-457-7300 ext. 5004, or jallen@bhiclub.net. Cooking shows with celebrity chefs have nothing on Bald Head Island’s Shoals Club. In fact, we’re offering something even more satisfying. During Table Talk, a cooking series led by our own renowned executive chef Caitlyn Fisher, you not only get to learn how to cook delicious recipes, you get to consume the classwork. Table Talk is a series of four events held throughout 2019, according to the schedule below. Each lasts from noon until 2 p.m., beginning with cocktails and hors d’oeuvres. Chef Caitlyn will cook your meal as you observe, giving you special pointers on preparation and presentation all the while. She’s happy to answer your questions during the process, and will send you home with the recipe so you can re-create it all. While each class focuses on a particular area, all will produce a full, well-balanced meal. The cost is $50 per class, plus tax and gratuity. Chef Caitlyn has a farm-to-table background, which will be evident in this vegetable-heavy presentation. A bonus: She will even teach you how to make your own mozzarella. There’s nothing like seafood at its peak of freshness. Learn which types of fish are caught at what time of the year, and whether it comes from local waters. You can taste the difference. In our culture, the choice of meat often sets the tone for the entire meal. Learn how to make the most of this key component and its complementary side dishes. If you’ve ever looked in your pantry and thought you had nothing to eat, you will be surprised and motivated by what the chef can create with what you likely have on hand. An inspired—and inspirational—chef, Caitlyn likes to take her cues from her surroundings. She chooses to focus on local ingredients whenever possible, and create dishes with an island flair for the Shoals Club’s various dining venues. Above all, she enjoys putting a new twist on recipes, often mixing unlikely ingredients to create a surprising, yet intensely satisfying, taste sensation. For more information, or to inquire about a Shoals Club membership, contact Connie Moore, Membership and Communications Coordinator for the Shoals Club, at cmoore@bhisland.com. The great outdoors. An untethered freedom. Plenty of room to roam. Many of the island characteristics that draw people to Bald Head Island go double for pooches. A rare breed in beach resorts, Bald Head Island is so pet friendly, it recently was named to USA Today’s 10 Best Dog Friendly Beaches in America list (coming in at number 3!). To us, that’s kind of like taking “Best in Show” at Westminster. Property owners, of course, usually have their dogs by their side at all times, but even renters have the option to bring Fido along. While not every rental home accommodates dogs, a great many do, and you’ll find options in every environment, from the harbor to the beaches to the maritime forest. Speaking of the beach, your dog is welcome to walk, run and lounge on the beach while leashed, as long as he or she is well behaved and not a nuisance to people or other dogs. Etiquette is enforced on the ferry, too. Dogs are always welcome, but must ride outside the enclosed cabin. As you travel the island, you’ll likely see dogs in bicycle baskets or riding shotgun in golf carts. They are just part of the local scene, often eliciting smiles and greetings from everyone they see. If your pup is a party animal, check the events planner to find out if there’s a doggie meet-up happening when you’re on the island. If there isn’t a formal one scheduled, just take your pup to the island’s Dog Park and you’ll likely find plenty of canine companionship. So if you’re planning a trip to the island, consider bringing your best friend with you. At Bald Head Island, there’s no shortage of puppy love. On Bald Head Island we have a few expressions. One is, "Relax. You're on turtle time." Another is "Summer is a state of mind." Lately, with winter weather gripping most of the country, flu season kicking into high gear, and the government shutdown dragging on, we can't help but daydream of warmer weather and easing tensions. Summer will, as they say, "be here before you know it." In that spirit of optimism and anticipation, we wanted to reflect back on 2018, with its challenges and achievements, but more importantly look ahead to the exciting real estate opportunities 2019 presents. Since the storm, Bald Head Island continues to show its resiliency and capacity to regenerate. Numerous homes listed for sale were pulled off the market this fall for needed repairs, and much work is still underway. As renovations to homes are completed, we expect spring and summer to be busy listing seasons, with upgraded properties marrying favorably with pent-up consumer demand. Along with reinvestment by individual owners to improve their properties, the Bald Head Island Club is set to unveil an incredible Aquatics Complex and oceanview restaurant, Horizons, this spring. The Club's new amenity promises to be a hub for families to gather together and represents a forwarding-looking move by the Club Board to provide an exceptional experience for members and their guests. With so much investment in the island's infrastructure and properties, it's easy to be optimistic about real estate sales in 2019. On the development front, construction in the Southern Living Inspired Community continues at a steady pace, with more plans slated for release this year. Additionally, a new Southern Living Inspired Home in the neighborhood will open for public tours this fall in Cape Fear Station. Many folks have been asking when the next Roast & Toast on the Coast, our three-day Southern Living Inspired Event weekend, will take place. We've already started planning for the best event yet, so save the date November 8-10. Our food, beverage and entertainment lineup will follow soon. Finally, be sure to mark your calendar for Saturday, April 20 during Easter Weekend for an Open House at the Bald Head Island Limited Real Estate Sales office. We'll be serving wine, beer and appetizers and be available to answer any questions you may have about island real estate in a fun and relaxed setting (details to follow soon). In the meantime, we invite you to view a comprehensive database of all island properties for sale, stop by our office at 4 Marina Wynd near the ferry landing, or simply email us at salesinternet@bhisland.com or call us at 800-888-3707. We look forward to answering your questions and sharing our "summer state of mind" with you. Love it or find it annoying, The 12 Days of Christmas is a seasonal staple. In the holiday spirit, we gave it our own little lighthearted spin, inspired by things we who work here get to experience daily. We sincerely wish you and your loved ones all the joys of the season, and health and happiness in the new year. A lighthouse beside the sea. And a lighthouse beside the sea. The name itself, Island Life, conjures up images of sandy beaches and palm trees, the scent of the ocean, and the feel of salt on your skin. It’s no surprise that the immensely popular network HGTV found Bald Head Island a fitting subject for two episodes of their aptly named hit show. The episodes feature two families: a couple from Wisconsin that is planning to spend about six months of the year on Bald Head Island, and a North Carolina couple whose island home is a vacation getaway for family and friends. Bald Head Island Limited Real Estate Sales agent Stephanie Blake was given the opportunity to participate in the production of both episodes, which filmed for two weeks in July of 2018. She described the entire process as delightful and said she especially enjoyed the camaraderie that developed during filming, including growing closer to the homeowners and getting to know the crew. Stephanie said much like nearly everyone who visits the island, the film crew appeared smitten by Bald Head Island. “They were captivated by the novelty of being on an island with no cars and riding around on golf carts,” she said. “They also enjoyed meeting the islanders and the history buffs were enamored with the pirate lore and Old Baldy Lighthouse,” explained Stephanie. Stephanie says coming to work on Bald Head Island is a dream come true, and she loves sharing this special place with her family and friends. While she is excited about the exposure the show will bring to the island, she described a paradox that many islanders feel. Mark your calendars for episodes 11 and 12 of season 14. “A Charming New Life on Bald Head Island” featuring the North Carolina couple airs Sunday, December 9 10:30 pm and Monday, December 10 1:30 am. on HGTV. “Together on Bald Head Island” featuring the Wisconsin family will air Sunday, December 16 at 10 pm EST and a few hours later on Monday, December 17 at 1 am. on HGTV. Celebrating nature’s wonders is just part of life on Bald Head Island. So in January of 2011, when Claude and Melissa Pope, proprietors of The Maritime Market, started a monthly gathering to salute the setting of the sun and the rise of the full moon, it was an instant hit. Naturally, the start time and size of the crowd vary depending on the season, but there are always plenty of enthusiastic revelers to let o ut a collective howl as the full moon rises out of the Atlantic Ocean. Fortuitously, November’s full moon falls of the day after Thanksgiving, guaranteeing a large, enthusiastic group. Island Hardware and Atlantic Realty Professional are the generous cosponsors of this month’s event, and the Maritime Market’s Chef Marc will provide a huge pot of his famous soup. All are welcome and asked to BYOB, as well as an appetizer to share. Peter McArthur will provide the musical accompaniment, playing ancient Celtic tunes on the bagpipe as the moon breaks the horizon. Please join us on Friday, November 23, 2018 from 4:30-6:30 pm at East Beach, Access 39. Sunset: 5:04 pm. Moonrise: 5:49 pm. What better way to continue the holiday of eating, fellowship and gratitude than to gather on East Beach at sunset? We hope to see you there! Do you dream of owning a place on Bald Head Island, but question how often you would be able to use it? Or perhaps it’s just not the right time for that size investment. Maybe it’s time to discover the joy of sharing. Scheduled Island Time: You’ll share your deeded property with 12 other owners, each of you enjoying four weeks every year—a week in every season. The rotating schedule makes planning easy. Membership Privileges: You’ll have full access to all the amenities of the Bald Head Island Club, Shoals Club and the on-site Hammocks Club. Built-In Me Time: All home maintenance and landscaping are handled for you, so you can just relax and enjoy the amenities and natural environment all day, every day of your vacation. Equity Ownership: You receive deeded property in real estate. Estate Transfer: Your portion can be sold, willed or gifted. The World Is Yours: You’re eligible to join a vacation home exchange program through Interval International, allowing you to trade your time on the island for use of other vacation homes around the world. Turn-Key Convenience: Each Hammocks home is fully furnished and professionally decorated, giving you and your family the easiest, most cost-effective way to own property on Bald Head Island. An intimate enclave of lovely vacation homes, The Hammocks is conveniently located on Earl of Craven Court off Stede Bonnet Wynd, a short cart ride from the ocean and just behind the Bald Head Island Club. 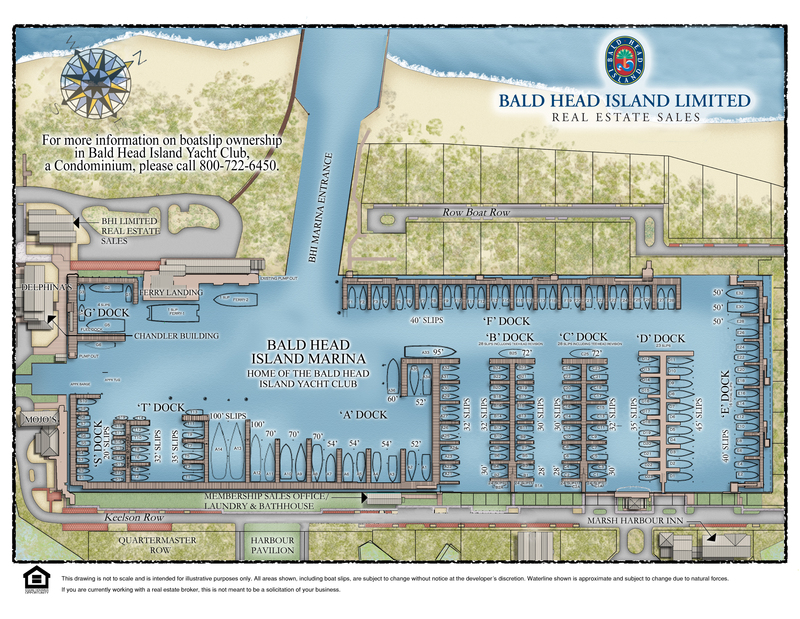 Two- and three-bedroom Hammocks homes, both new and resale, are available through Bald Head Island Limited Real Estate Sales. Learn more here and view available listings. Originally from Maryland, Stephanie first came to the area in 2014, when her husband was transferred from Charleston to Southport with the U.S. Coast Guard. She began working for Bald Head Island Limited in the membership office at the Shoals Club and transitioned to real estate sales the next year. Stephanie also pointed to the team approach as a significant benefit for her clients. “Working with Doug and Garrett means our clients get three times the knowledge and experience,” she explained. As Stephanie puts it, the Blakes live “just across the pond” from Bald Head Island in Southport. She said they are “not yet” property owners on the island, but are very interested in purchasing property. Doug first came to Bald Head Island in 1993, and has lived on the island full time since 1998. He and his wife Jane, who is a past executive director of Old Baldy Foundation, live on West Bald Head Wynd. Doug says the home is technically second row, but offers unobstructed views of the mouth of the Cape Fear River and the ocean beyond. In 2001, Doug went to work for Bald Head Island Limited, leaving behind a successful career in medical device packaging, sales and marketing. He hasn’t looked back. Like Stephanie, Doug said listening is central to helping people find the perfect island home. “The more I can listen and learn, the better I can help them,” he summarized. Throughout the years, Doug has consistently been a top-producing agent on the island, and especially enjoys being part of a very successful, client-focused team with Stephanie and Garrett. Beyond his passion for the island is his heart for volunteer work, especially related to flying. A licensed pilot, Doug volunteers with Pilots n Paws, flying rescue animals from kill shelters to their adoptive or foster homes. He also works with SouthWings, taking scientists and officials over areas of particular environmental concern, and with Young Eagles, a program that allows children 8-18 to discover the thrill of flight. To speak with either of these agents about island real estate, call 800-888-3707.